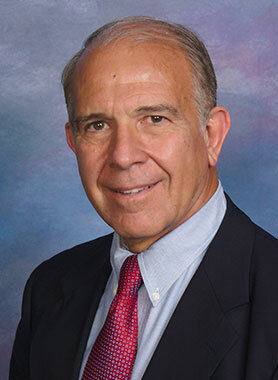 Dr. Peter F. Johnson is a board-certified prosthodontist in private practice in La Mesa, California. He received his Doctor of Medical Dentistry degree from the University of Pennsylvania, School of Dental Medicine and successfully completed an Internship at the Philadelphia Naval Hospital. Dr. Johnson's passion for dentistry has always inspired him to go above and beyond both in education and in training. As a result, he continued his dental education with two additional years, earning a Prosthodontic Certificate from the School of Dentistry at the University of Southern California. His academic excellence was recognized by the prestigious national dental honor society, Omicron Kappa Upsilon. During his career in the U.S. Naval Dental Corps, Dr. Johnson attained the rank of Captain. While in service, he was appointed Director of Fixed Prosthodontics at the Naval Dental School in Bethesda, Maryland where he was a mentor in the Prosthodontic Residency Program. He also was Officer-in-Charge of all prosthetic dental laboratories at the San Diego naval bases. He has held faculty positions at The School of Dentistry, Georgetown University and the School of Dentistry at the University of Southern California. Dr. Johnson has achieved Diplomate status of the American Board of Prosthodontics and thus is a Board Certified Prosthodontist. He is a Fellow and Past-President of the American College of Prosthodontists as well as a Fellow of the International College of Dentists. He currently holds active memberships with the American Dental Association, the California Dental Association, the San Diego County Dental Society, the Academy of Osseointegration, the Pacific Coast Society for Prosthodontics, the American Board of Prosthodontics, the International College of Dentists, the Military Officers Association of America, the Pierre Fauchard Academy - International Honorary Dental Organization, San Diego Dental Health Foundation, San Diego Advanced Study Club, the Odontic Seminar, and was elected to Omicron Kappa Upsilon, the National Dental Honorary Society. Our exceptional staff consists of dental assistants, dental technicians and administrators that are carefully selected for their education, experience as well as their ability to partner with Dr. Johnson's highest standards of treatment. This includes attending numerous continuing education and training courses that teach the latest technology and techniques that provide the best care for our patients.